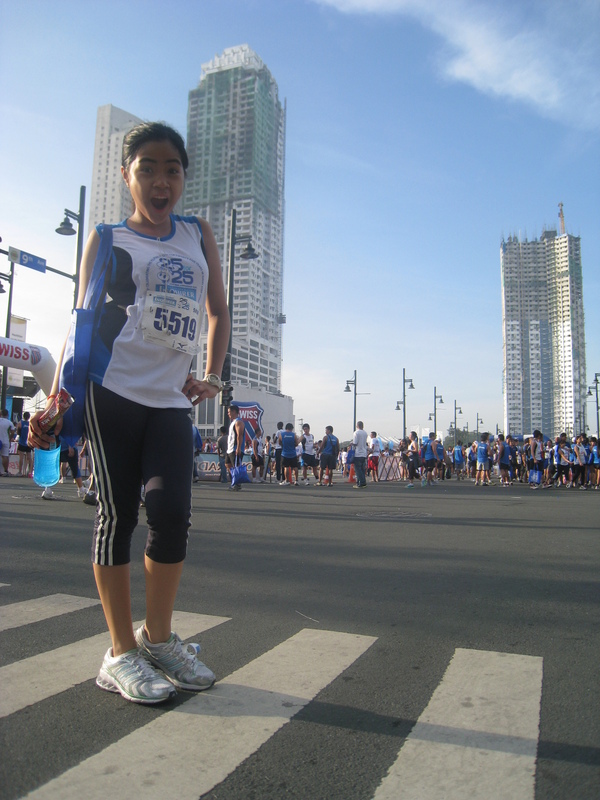 Last November, I signed myself in running class to fulfill my requirement for P.E. In spite being the only member of our block to sign up for that class and the fact that it starts at 7:30 A.M. every Monday and Thursday, I still opted for it. I feared volleyball (surprisingly) and preferred to travel early morning (when there’s less traffic) than to rush for my 9 A.M. strength training class (considering my ever faithful vehicle, the MRT going northbound, was a human sardine-like can from 8 to 10 A.M). I never regretted that decision. 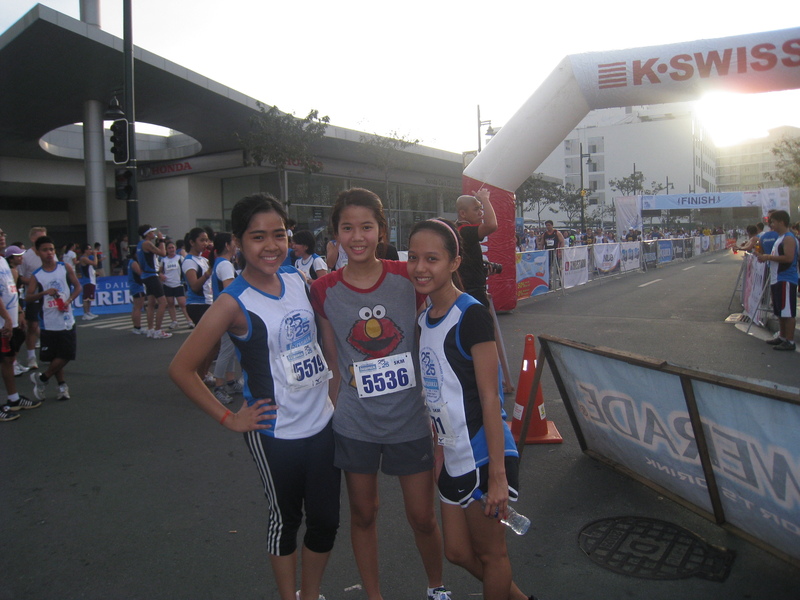 Last Sunday, my classmates and I culminated our running class by joining a fun run hosted by the Philippine Daily Inquirer. This run celebrated the 25 years of the prominent newspaper company. However, we still have classes until the 2nd or 3rd week of March. But who cares?! 😀 If running sessions in Ortigas were a-okay, this run is epic. At least for me. 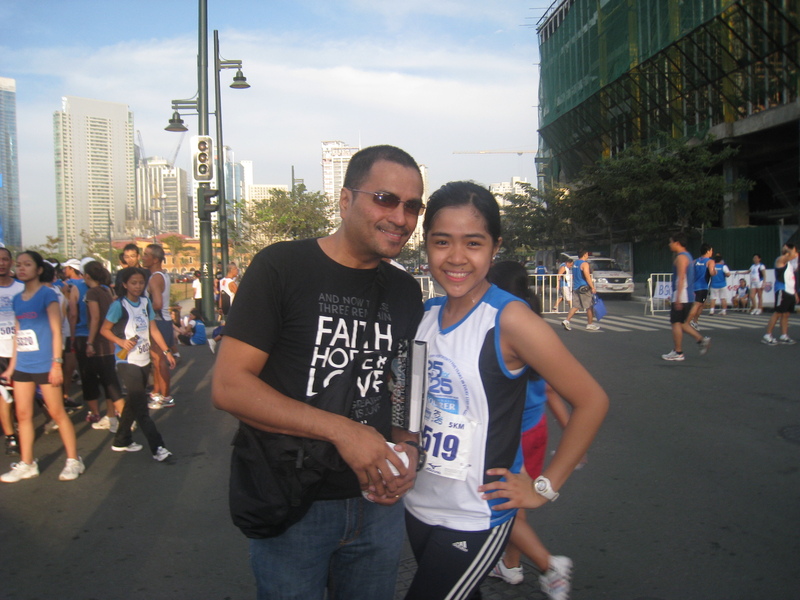 Even if I finished quite late (40 minutes), I am determined to beat my record soon. The run was my first and by far longest run considering that I’m not that much of a runner (even as a child!) and I only started running seriously last November. The strength that kept me going emanated from the loving heart of my Fathers–Heavenly and earthly–and my Mom. They supported me all the way: from the training, to the fee, to the early morning ride to the venue, to the shoes and my companion, Nathaniel Stefan (a.k.a. iPod shuffle. My gadgets have guy names. HAHA!) I am so blessed! Thanks, Dads and Mom! 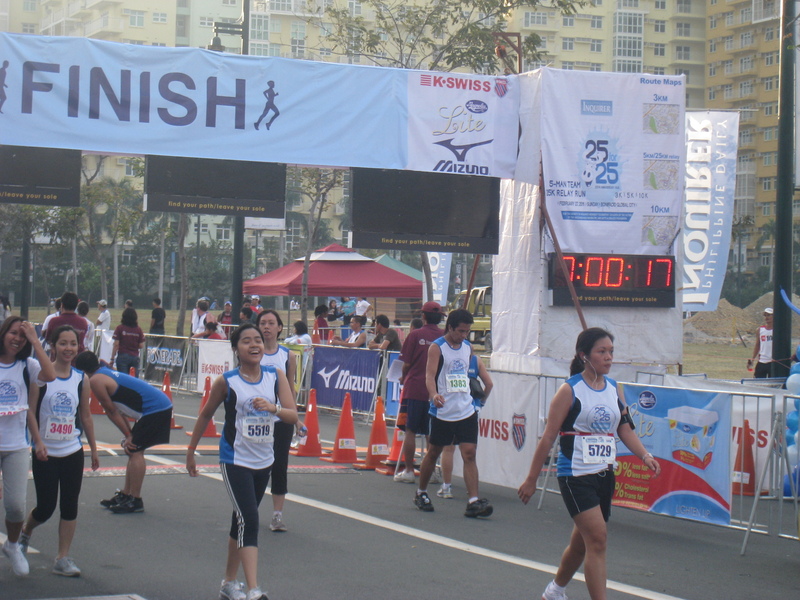 Here are some pictures from the run at Bonifacio High Street. Kailangan talaga nakapikit. haha! 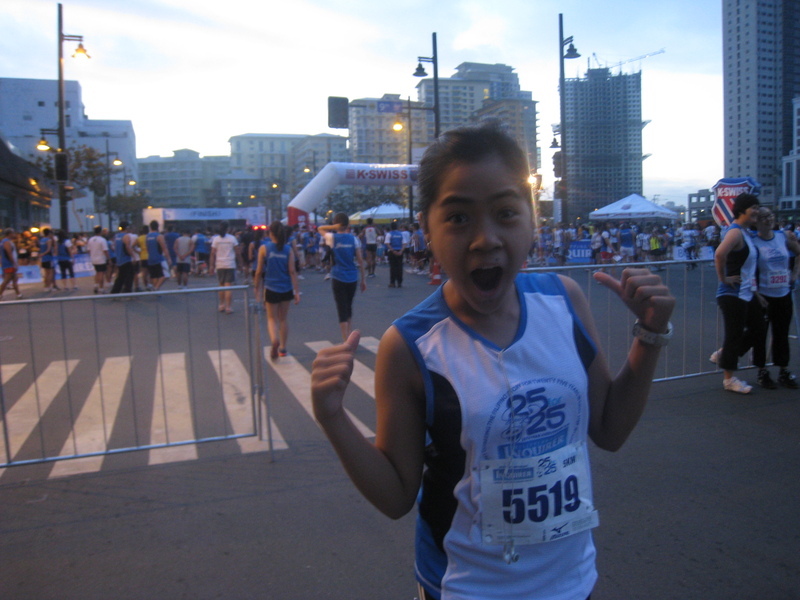 🙂 Side kwento (story): After 39 minutes of running, I was so tired and my legs burned like crazy; but when I saw the digital clock by the finish line several feet away, I ran as quickly as I could, parang kotseng nasa 5th gear sa SLEX. Haha! Author Jenny J. TalamPosted on 28 February 2011 29 December 2015 Categories Food & ExerciseTags 2011, God, grace, Jenny J. Talam, lifeline, passionLeave a comment on Run It!